There’s nothing like a restful nap in a pleasant wooded valley. But when Andre awakens and is greeted by a pesky yellow and black striped insect with a nasty stinger, he ends up taking a quick – and painful – hike. Andre thinks he’s a clever guy, able to outsmart and outrun a bee. But like all stinging insects, Wally B. knows better and can chase down any target in a matter of seconds. Though this film was produced at Lucasfilm Ltd., it was the first time John Lasseter worked on a 3D animated film. 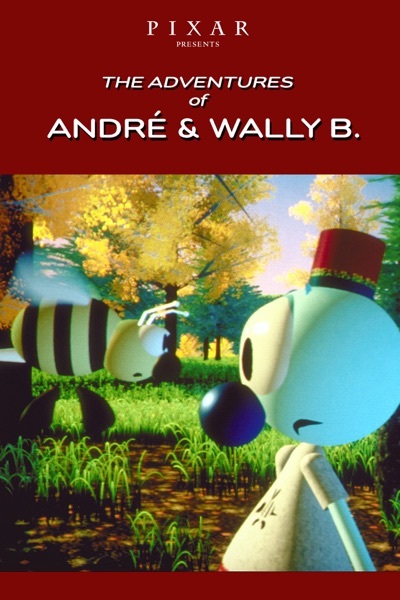 Andre and Wally B. was very restrictive – only geometric shapes could be animated – but Lasseter pushed the envelope by asking the technical team for a tear-dropped shape that could be bent several ways.